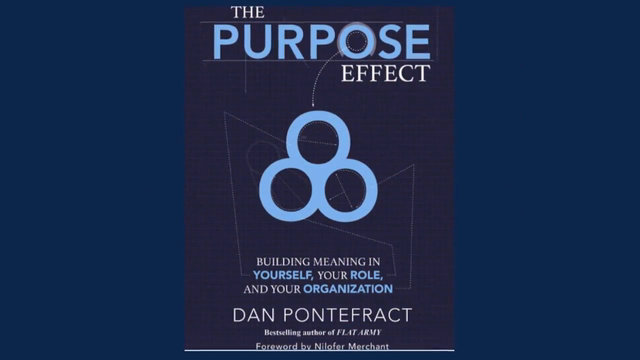 “Purpose is more than a cause, it’s a way of operating your business.” So claims Dan Pontefract in a recent Forbes blog. In fact, says Pontefract, “purpose ought to be the reason a business is in business.” He cites Unilever and Salesforce as companies that have embedded purpose into their strategies and practices—and profited while doing so. Unilever launched its Sustainable Living plan in 2009. Since then, its employee engagement percentage has grown from the low 50’s to the high 80’s, its market cap has risen from €63 billion to over €100 billion, and its earnings per share have doubled. Salesforce has high employee engagement and annual revenues of over $6 billion. Pontefract lists four key principles from their examples. One, serve all stakeholders. Two, pledge a percentage of employee volunteer time, company profits, in-kind services, and/or products to the community. Three, craft a transition plan. And four, write an organizational declaration of purpose. By taking these steps, leaders can create a business that is profitable while it also improves society. I’m John Howell for 3BL Media.